Delicate and Timeless! 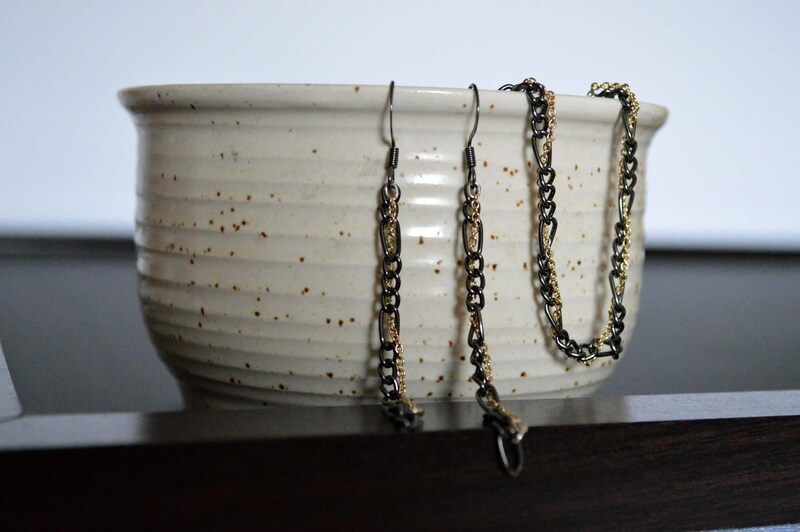 The combination of black and gold chain weaved together is beautiful. 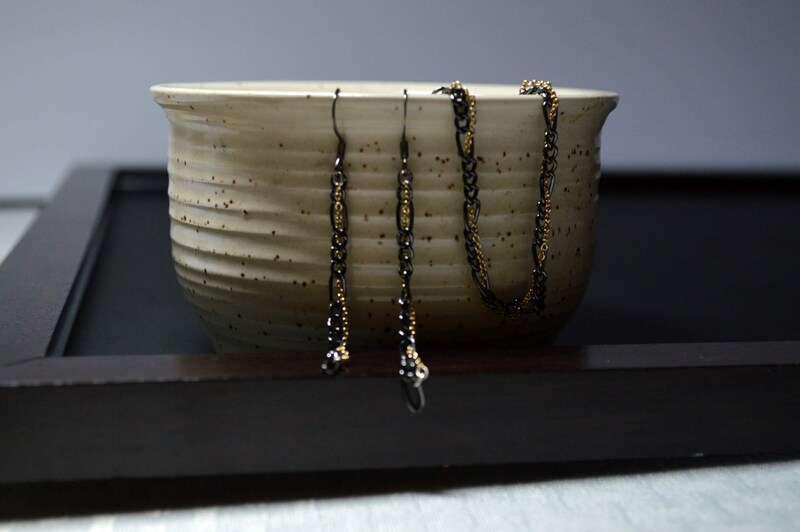 The simplicity of this set makes it suitable for office, dress or casual wear. 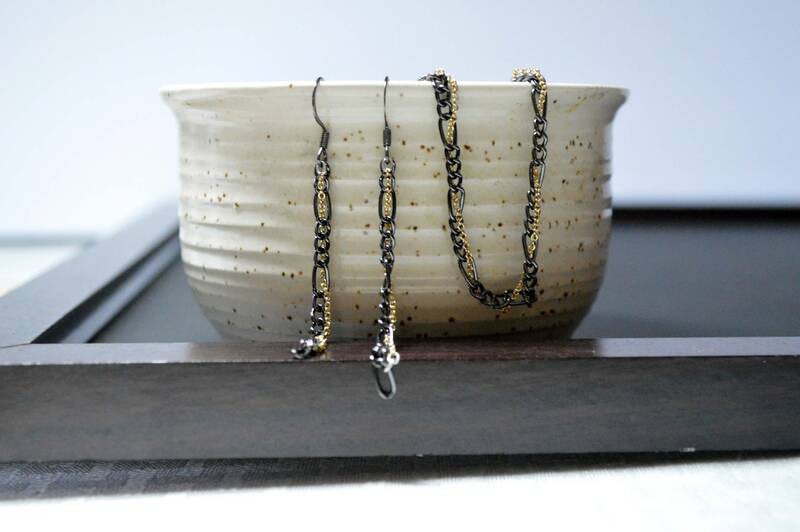 A great gift idea for someone you know who loves a modern, classy chic style! 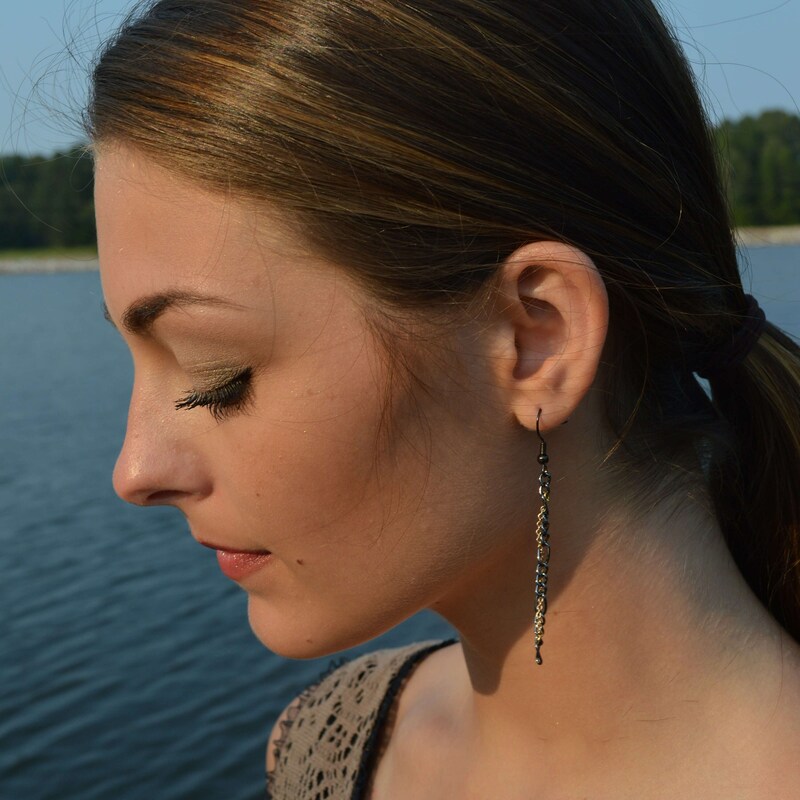 The earrings dangle to 2.5"
Need a different size? No problem, just send a message when you check out.